All Asphalt Paving & Concrete specializes at installing all types of concrete structures including concrete driveways, patios, and sidewalks. 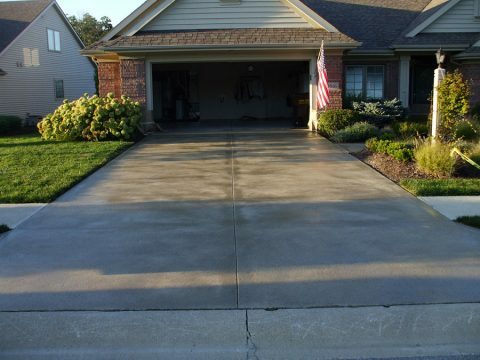 Our highly skilled concrete experts will provide you with the driveway, patio, or sidewalk of your dreams. 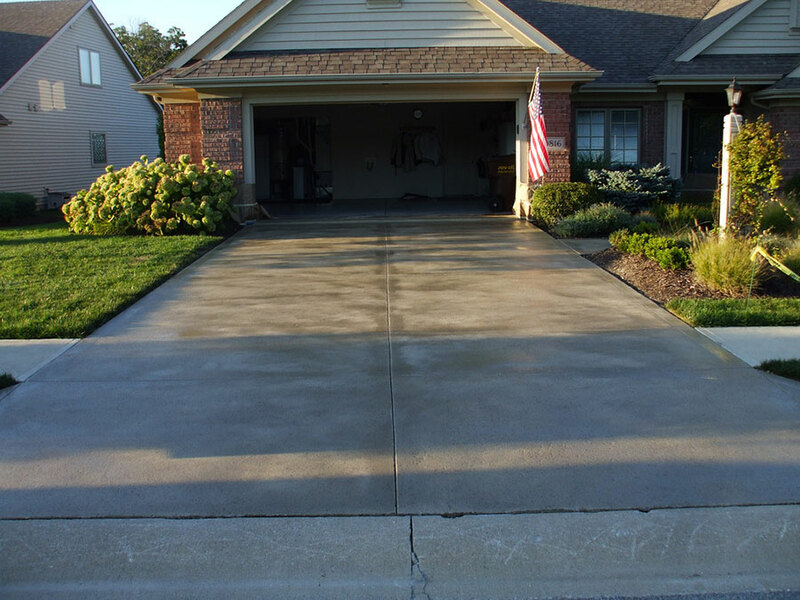 Installing a concrete driveway, patio or sidewalk requires more than just pouring the concrete and spreading it out evenly with a nice finish. When it comes to installing a driveway, patio, or sidewalk there is much more that goes into the entire process. There are more steps than you might realize in order to make the structure beautiful and long lasting for decades to come. First, the driveway, patio or sidewalk area will needs to be cleared from any concrete that is currently there if a replacement is being done. Once this has been completed, the specific area has to be framed and compacted so that the concrete can settle evenly. The last step is to apply the actual concrete and concrete finishing. Because we have specialized in concrete installations for over four decades, our experts have you covered every step of the way. We make sure to prepare the pour area with a flat and compacted surface. Then we set up the concrete forms at the proper thickness and slope to accommodate the project properly while installing rebar or wire mesh when necessary. Then of course we use the right concrete for the driveway, patio or sidewalk to make sure that the structure will be long lasting and beautiful for decades to come. All Asphalt Paving & Concrete focuses on concrete services that may be able to increase the value of your property. Our concrete walkways and driveways are engineered to be aesthetically pleasing as well as to stand up to the wear-and-tear associated with heavy use. We communicate closely with our customers throughout all phases of our work so that they end up with a driveway, patio or walkway that’s tailored to their specific requirements. We provide you with a customized job approach, useful tips and beneficial maintenance actions that will help you preserve all of your concrete structures once the job has been completed. To install or repair a new driveway, patio, or sidewalk you should call one of our concrete experts today at 405.514.1969 for a free estimate. You can also fill out our Contact Form Here and we will call you at our earliest convenience.